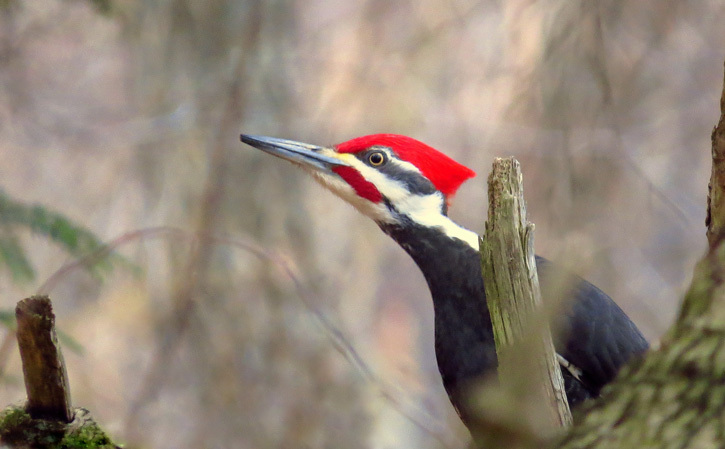 Posted on March 19, 2018 by Ryan D.
It’s always a treat to spot the iconic pileated woodpecker (unless, of course, you catch one drilling into the side of your house). With their striking black and white plumage and flaming red crests, they are almost prehistoric-looking, like a crow-sided modern pterodactyl. 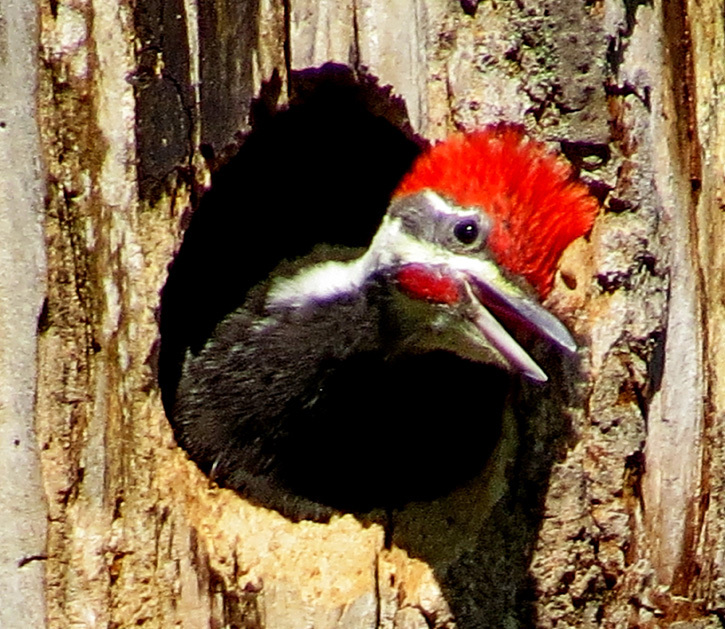 Woodpeckers have several unique adaptations. Their feet have two toes pointing forward and two pointing rearward with sharp pointed claws that enable them to scale tree trunks and other vertical surfaces to look for food and shelter. 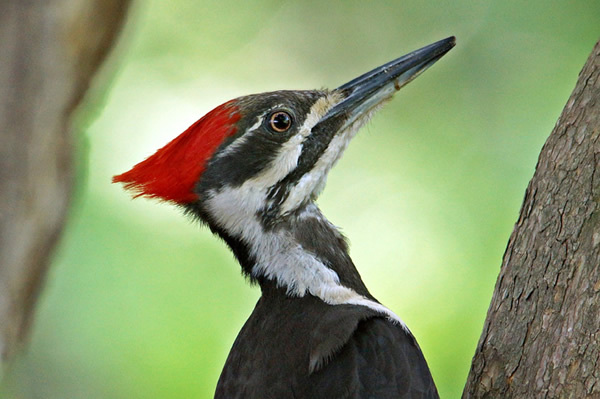 Their straight pointed bills and reinforced skulls help them to absorb the constant shock of pecking, chiseling, drilling, and drumming as they hunt for insects (especially carpenter ants) to eat. 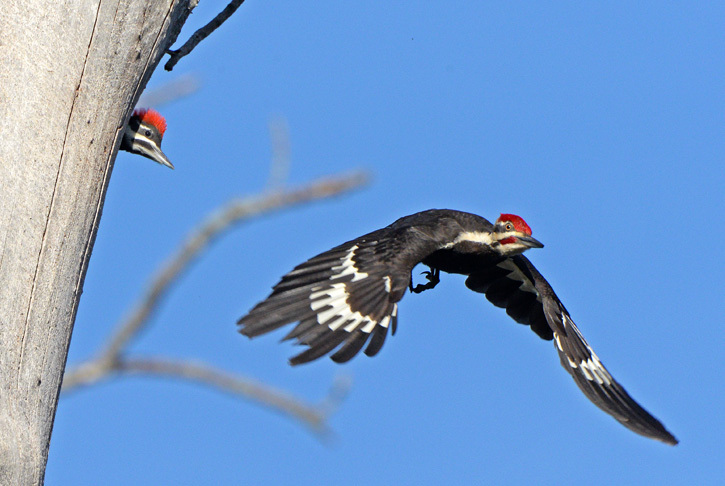 Their stiff tail feathers act as props (like a third leg) when they climb. 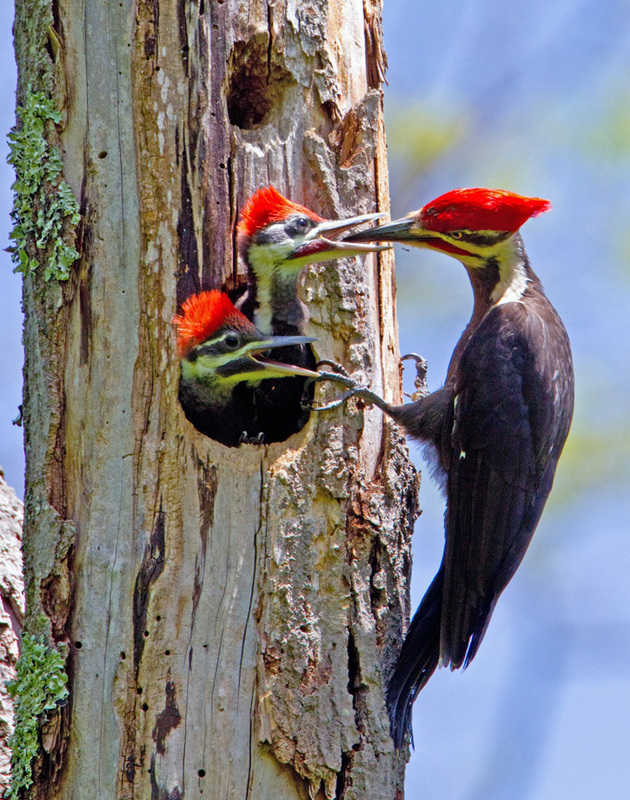 It’s not an everyday occurrence to see a pileated woodpecker, so here are five photos of these remarkable birds from our annual Picture This: Your Great Outdoors photo contest for you to enjoy. Submissions for the 2018 photo contest will open in early summer, so keep an eye out! 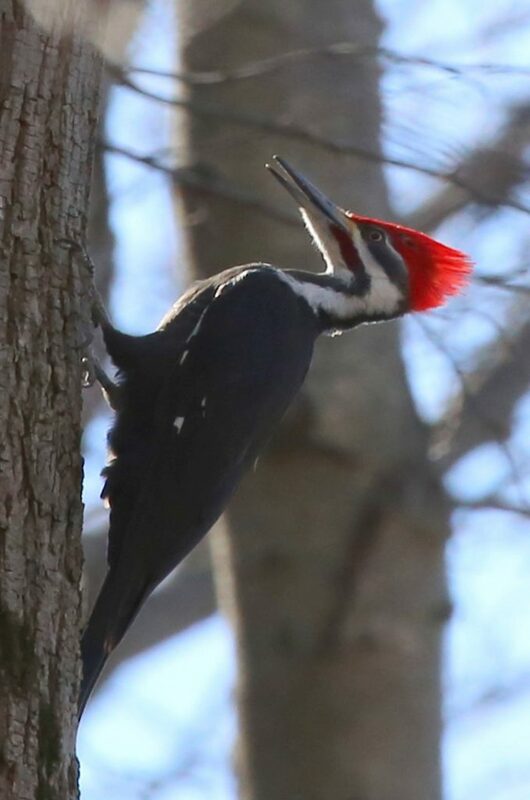 This entry was posted in Take 5 and tagged birds, photo contest, photography, woodpecker on March 19, 2018 by Ryan D..